Boulder will rejoice on Friday, April 7th, 2017 – National Beer Day! 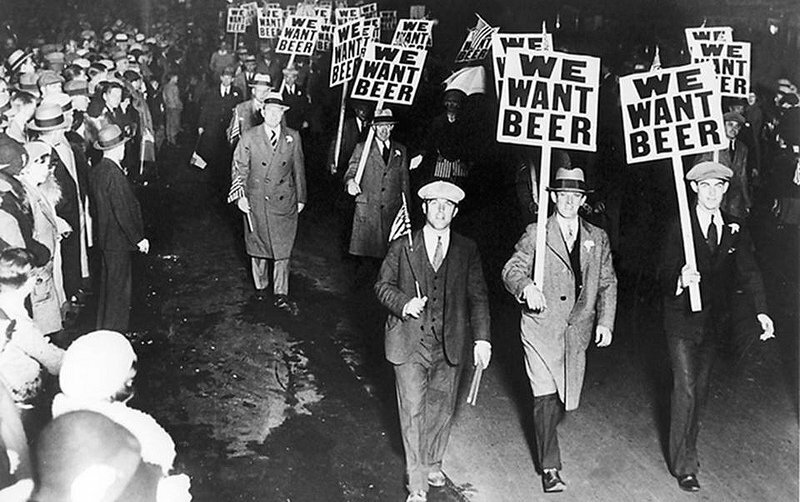 This national holiday celebrates the day President Franklin Roosevelt took the first step toward ending Prohibition. On that fateful day – April 7, 1933 – the Cullen–Harrison Act was enacted after having been signed into law by FDR earlier that year. The law allowed Americans to brew and sell beer, so long as it remained less than 4.0% alcohol by volume. For the first time in 13 years, Americans were able to lawfully purchase beer once again. To celebrate National Beer Day 2017, I’ve put together a guide of Boulder’s locally-owned breweries. Cheers! Asher Brewing Company, located at 4699 Nautilus Ct S,, is Colorado‘s first all-organic craft brewery. Asher offers a laid-back atmosphere to enjoy its unique and tasty brews. Call Asher at 303-530-1381 to schedule a free tour. Avery Brewing Company, located at 4910 Nautilus Ct N, is a family-owned craft brewery. Avery features innovative beers and brews over 40 different beers a year! Excellent brewpub menu & dog-friendly patio. Tours offered weekdays at 4PM, Saturday at 2 & 3:30PM, Sunday at 2PM. Reserve your tour spot here. Boulder Beer / Wilderness Pub, located at 2880 Wilderness Pl, is famous for being Colorado’s first craft brewery, offering a variety of hand crafted beers as well as a full menu restaurant and pub. Boulder Beer Company produces flavorful beers, including Hazed Hoppy Session Ale, Mojo IPA, Shake Chocolate Porter as well as many other award winning brews. Brewery tours offered weekdays at 2PM, Saturdays 2 & 4PM, Sundays at 2 PM. BRU Handbuilt Ales, located at 5290 Arapahoe Ave, is a sunny, modern brewpub dispensing creative craft beers & inventive American fare in industrial digs. Open daily for lunch and dinner and all day happy hour every Tuesday with 14 rotating ales on tap. Cellar West Artisan Ales, located at 1001 Lee Hill Dr #10, recently opened its doors in North Boulder. Cellar West is open for pours, merchandise and to-go bottle sales every Saturday and Sunday from 1 – 8PM. FATE Brewing Company, located at 1600 38th St, is Boulder’s first brew-bistro and a local favorite to experience chef-inspired, gourmet creations with unique, handcrafted microbrews. FATE features local ingredients on the lunch, brunch, and dinner menus as well as 30 taps feature house drafts and rotating guest beer. Finkel & Garf Brewing Company located at 5455 Spine Rd, Ste A, is a Boulder favorite for fantastic beer, friendly service and a fun, colorful atmosphere. It’s a great place to grab a beer, let the kids play and even enjoy some tacos. The brewery sells a variety of snack foods and has a ton of games on hand that are fun for kids and adults alike. A new beer is tapped every Wednesday at 5PM! J Wells Brewery, the smallest nano brewery in Boulder, is located in a garage at 2516 49th St, Ste 5. J Wells is a tiny brewery & taproom offering tastes of British- & West Coast-inspired beers. Open Mon-Friday 4-9 PM, Saturdays 2-9PM. Kettle and Spoke Brewery, located at 2500 47th St #12, is a brand new Boulder brewery located in the Green Guru HQ and producing tasty local handcrafted small batch beers. Tasting room open Thursday 5-8pm, Friday 5-9pm, Saturday 2-9pm, and Sunday 2-5pm. Mountain Sun Pub & Brewery, located at 1535 Pearl St., and the Southern Sun Pub and Brewery, located at 627 S. Broadway St, offers five-star service, fresh, high quality pub fare and finely crafted brews for affordable prices in an environment that’s comfortable like your living room. Stop by for award-winning beers and excellent food! New Planet Beer Company, located at 6560 Odell Place, Unit D, is Boulder’s premier source 100% gluten-free and gluten-reduced craft beers. New Planet does not currently have a tasting room, but you can find these gluten-free beers at liquor stores & pubs around boulder by clicking here. Sanitas Brewing Company, located at 3550 Frontier Ave, is regarded for their signature blend of tradition and innovation as well as their use of only the finest ingredients. Sanitas’ Tap Room features a rotation of handcrafted beers and tacos from McDevitt Taco Supply. The outdoor patio is ideal for playing bags or bocce ball with friends and enjoying mountain views. Shine Restaurant & Gathering Place, located at 2027 13th St, is one of only a handful of women-owned breweries in the country. Shine offers local, organic, nutrient dense, delicious food in a 100% gluten free kitchen. Twisted Pine Brewing Company, located at 3201 Walnut Street, offers 24 from traditional styles to adventurous creations. Twisted Pine is a a happy hour haven for nearby business people, a sunny patio with a gorgeous view of the Flatirons, a site for graduation and birthday parties, home to some of the best pizza in Boulder. Upslope Brewing Company has two tap rooms located in Flatiron Park at 1898 S Flatiron Crt, and in North Boulder at 1501 Lee Hill Road, Unit #20. Upslope’s brews are the perfect match for Colorado’s active lifestyle, offering superior quality, hand-crafted ales & lagers in cans for the on-the-go beer enthusiast. Tours offered weekly at Flatiron Park on Thursday, Saturday and Sunday at 3PM, and at Lee Hill on Friday and Saturday at 4PM. Check Upslope’s website for tap room events like live music, open mics and food truck schedules! Vindication Brewing Co., located in Gunbarrel at 6880 Winchester Circle offers a family friendly community tap room. Using all-natural brewing methods, Vindication features 10 beers on tap. Open daily from 2-9PM. VisionQuest Brewery, located at 2510 47th St, Suite A2, is a small taproom next door to Boulder Fermentation Supply. If you’re into brewing and want to talk recipes and techniques, this is probably the best place in town to grab a pint. Walnut Brewery, located in a historic brick warehouse at 1123 Walnut Street is Boulder’s original brewpub. The brewery offers award winning house-brewed beers & pub favorites ranging from burgers to fish ‘n’ chips. Make your reservation here! West Flanders Brewing Co., is a Belgian-inspired brewpub located on Boulder’s Pearl Street Mall at 1125 Pearl Street. West Flanders offers over a dozen beers on tap and new American cuisine in a casual atmosphere. Make your reservation here. Wild Woods Brewery, located at 5460 Conestoga Ct, features beer inspired by the outdoors! Visit the taproom on Tuesdays for all-day happy hour and on Thursdays for new beer releases. Guests are welcome to bring their own food or order in. Dogs welcome on the patio.